This tranquil feature is perfect for a conservatory but can equally be enjoyed outdoors. Includes a classic stone finish lined tub, with hidden internal filter & heater. 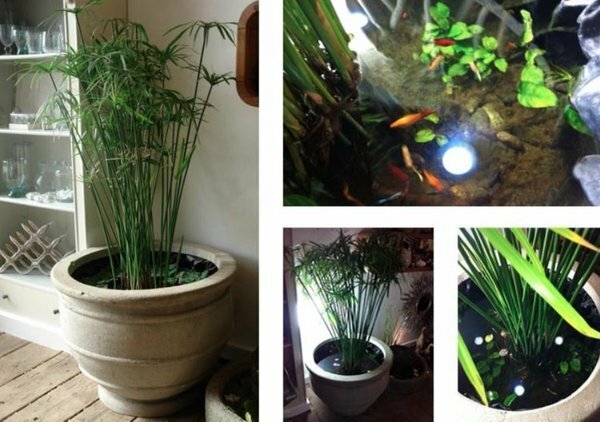 An established Umbrella plant forms the central focus which also provides highly effective filtration and the pond is also packed with several Anubias Nana plants as well as a pretty miniature Pygmea water lily. A variety of beautiful and extremely friendly tropical fish dance around the three submerged lights. This makes a particularly stunning display in the low evening light. 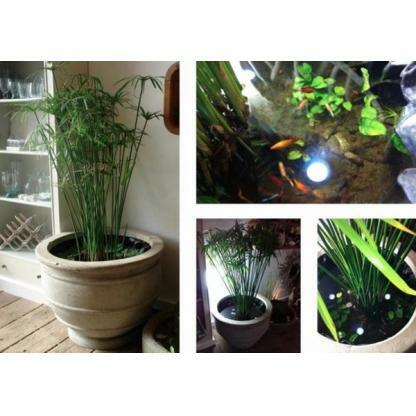 If you wish to place this feature in a low lit corner a hydroponic bulb is also included.